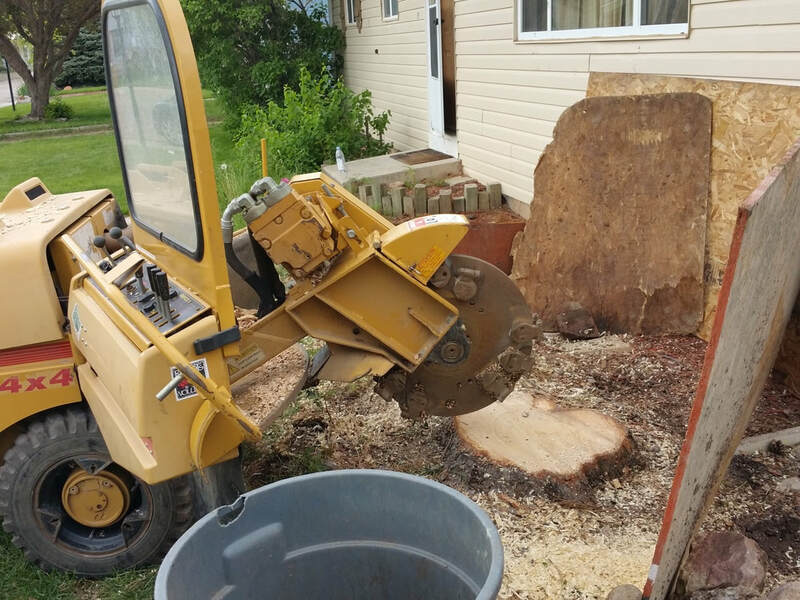 As the top stump grinding Loveland based company, it means you are in a position to make full use of our wide range of tree related services. Not only do we as a company have a vast amount of experience in the industry, but you can also rest assured that thanks to our extensive training that there are no issues or problems that we will not be able to then deal with. We know that the very thought of trying to grind a stump or remove it on your own is too stressful. You probably also worry that you are doing things in the correct manner. There’s no doubt in our mind that you are best to leave this kind of job to the professionals, and as we are fully insured as a company, then you are in safe hands. Whenever you are looking for those stump grinding company Loveland options, what you want to see is a company that has a long list of happy clients. In us, you have found that company, and what you also get when you hire our services is complete honesty and transparency every step of the way. We don’t believe in masking prices or anything else. Instead, what you get is a quote after we assess the job in question, and that is the price that you ultimately pay. But we also understand that you may wonder as to why you would even bother with grinding down a stump. We always have people asking why they shouldn’t just go ahead and remove the stump itself, so allow us to explain. When a stump is removed, the disruption to the area surrounding it can be vast. Not only that, but it can cause damage and leave a rather unsightly aspect to your yard. Thanks to us being able to grind down below the ground surface, it does mean you can then easily cover the location of the stump meaning it looks as if nothing was ever there. For us, this is certainly a neater and more polished option. In order to do this, we use specialist equipment that delivers precise results each and every time. That is why we can say with confidence that you will be delighted with the finished look and will wish that you had acted earlier rather than sitting there wondering what to do with the remains of that old tree. So, stop searching for any other stump grinder Loveland companies and settle on the fact that you have already found the best. All that’s required is to contact us either via our website or by giving us a call, and we will be more than happy to then guide you through the entire process. We look forward to providing you with a professional service and that stump to become nothing more than an old memory.